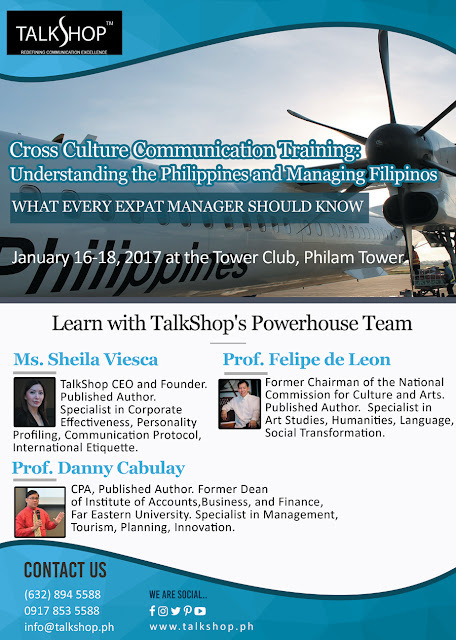 Prof. Felipe de Leon, Former Chairman of the National Commission for Culture and Arts. Published Author. Specialist in Art Studies, Humanities, Language, Social Transformation. Prof. Danny Cabulay, CPA, Published Author. Former Dean of Institute of Accounts, Business, and Finance, Far Eastern University. Specialist in Management, Tourism, Planning, Innovation. 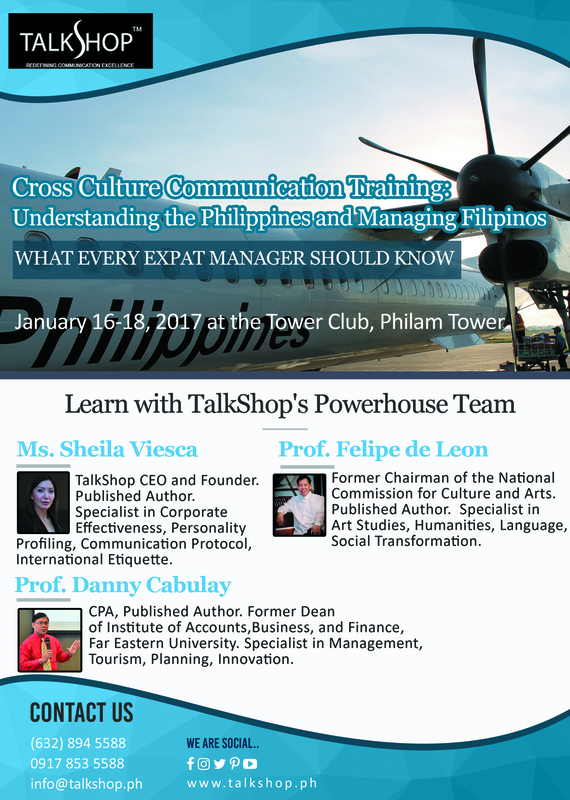 Ms. Sheila Viesca, TalkShop CEO and Founder. Published Author. Specialist in Corporate Effectiveness, Personality Profiling, Communication Protocol, International Etiquette.